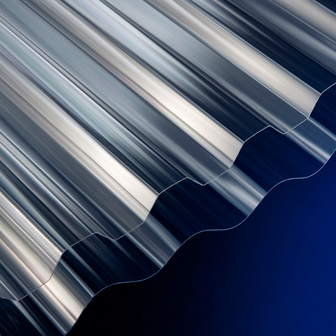 This ultra clear corrugated polycarbonate sheet is ideal for projects which require a high performance material with maximum light transmission. Engineered to last, mega tough Corolite polycarbonate sheets combine strength and impact resistance with glass like clarity and light transmission. This hardwearing and durable rooflight material is ideal for roofing applications which demand a sheet that punches above its weight for guaranteed long-term performance. Available in Greca and 3" Iron profiles. Clear provides a light transmission of 88%. Corolite polycarbonate is manufactured under BS EN ISO 9001:2008 Quality Management System.